Integrating your organization's communications can be difficult. You've likely given some thought to what you want to say, and new resources are always talking about defining the story, messaging, and call to action. This is important stuff, but it doesn't help with the tactical questions that users likely struggle with every day. How do you coordinate communications -- which might include email, direct mail, websites, social media, and other channels -- so they all feel like they're coming from the same organization without duplicating messages or bombarding people with requests for money and time? How do you try to integrate communications about your campaigns and the things you need with ongoing community building, putting out useful content, and curating the work of others? And how do you schedule it all so you can know what to do -- and when -- without ittaking over your life? Those are a lot of questions, and that's exactly why we created this workbook. This interactive guide is designed to serve as your blueprint as you work to bring together the many different channels you use to communicate with constituents, and the manydifferent ways you communicate with them. As you complete the worksheets, they'll walk you through an audit of what you're currently doing, teach you to think through what you should be doing, and help you create a tactical plan and schedule to organize your approach to what you're communicating, when, and through which channels. 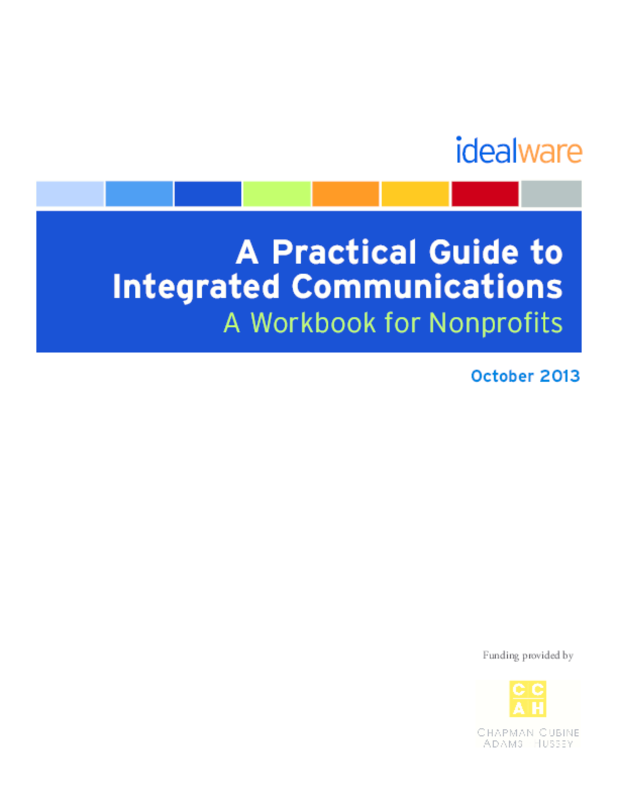 When you've finished, you'll understand how to create a cohesive integrated communications plan to keep people in the loop about your organization and the amazing things it accomplishes, to ask for money or other support, and to consistently engage supporters and keep them fired up about your cause. addition, there are a number of worksheets that might be useful as standalone exercises -- don't feel you need to complete theentire guide if you can get value from individual worksheets.